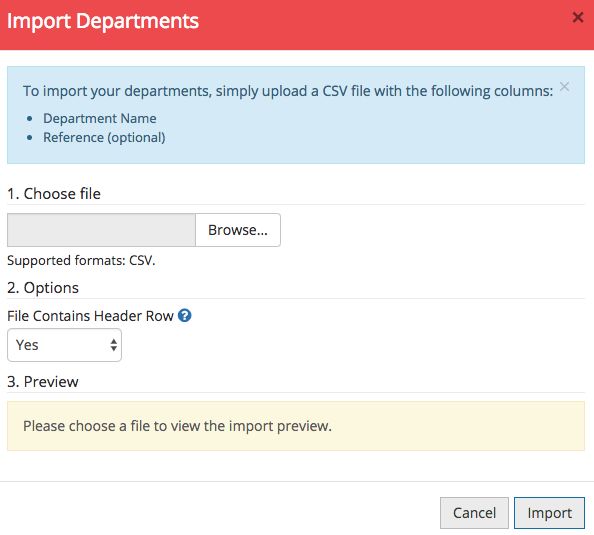 You can import data for your Departments, Categories, Projects and Users if you have access to a CSV data file. You will be presented with the Import box for the designated area. 2. Click Browse. 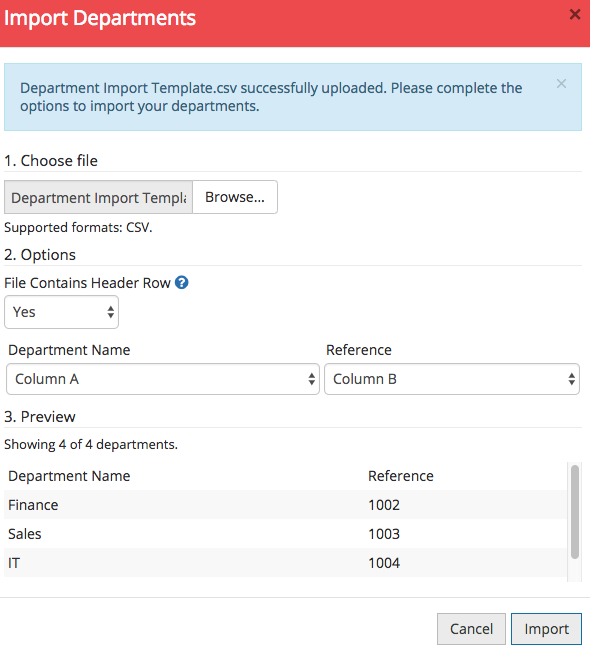 Find and select the CSV file. Please note: The only supported import format is CSV. 3. Change the File Contains Header Row drop-down to Yes or No as desired. You will see a preview of your imported data. 4. Once you are happy, click Import to add the data to your account.